Each pay cycle I put one-eighth of my paycheck into a hole and I’ll never get it back. Social Security is the world’s worst retirement plan, yet few policymakers want to renovate it for the 21st century. The Republican Party platform pays lip service to preserving and modernizing our system of retirement security, but doesn’t offer any reforms. If success is insolvency within two decades, Democrats have much to be proud of. However, most Americans wouldn’t agree. 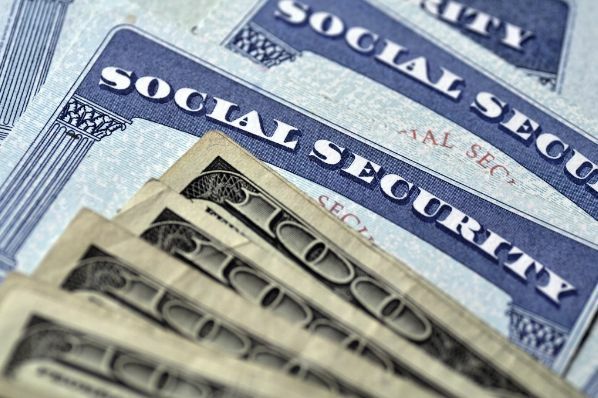 On the program’s 80th birthday, two out of three Americans said Social Security is in crisis. Just 6 percent of millennials expect to receive the same level of benefits as current retirees, while fully half (51 percent) don’t expect a dime. Like a person who puts $5 worth of gas in their car hoping it’s enough to get down the road, Social Security has been running on fumes. Washington has spent more in benefits than it collects since 2010. Social Security Trustees project that unless there are reforms, benefits are set to face deep, automatic cuts in 2034, or possibly sooner. Leaving the problem for a future generation got us to where we are. There’s no lack of urgency, but a lack of political will and courage. 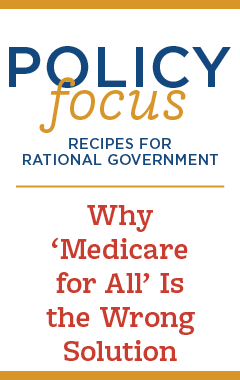 Raising taxes, as the Democratic platform proposes, is a poor solution that will not work. FICA taxes have been raised 20 times to cover past shortfalls and it’s still not enough because we can no longer afford to pay as we go. When the program was created in 1935, the U.S. population and workforce looked quite different than today. Jeans were worn only by factory workers, life expectancy was 62 years, one out of every four Americans worked in agriculture, and only one in five women were counted in the labor force. Today, women represent 47 percent of the labor force and are living on average 82 years (four years longer than men). Demographic shifts have also left fewer than three workers to support the benefits of each current retiree — down from 42 workers in 1945. As Americans have fewer kids, live longer and the labor force continues to shrink, it will be untenable for just one or two workers to carry each retiree on their back. We need reforms to the Social Security system that allow us to fulfill the promises made to our parents and grandparents while targeting benefits to those who truly need it. The last time Social Security was reformed (1984), I was a toddler puttering around on a tiny island in the Caribbean. Since then, we’ve figured out how to carry 100 songs in our pocket and grow lettuce in space. We can apply that ingenuity to reforming this system. First, we need transparency to expose the actual cost to taxpayers. We see 6.2 percent of our salaries taken out in FICA taxes, but how many American realize that employers match that? Some 12.4 percent of our pay goes to Social Security leaving employers with less money to pay toward salaries. Second, Social Security should be a safety net for those who need it most. Social Security is calculated based upon the average of your 35 highest-earning years, leaving high-income earners with bigger checks than lower-paid workers and women who earn less during their work lives. Reform should aim benefits to the least fortunate, not the most well-off. Third, individuals must own their retirement the way they own their careers. Millennials are already saving for when they leave the workforce, but still paying into Social Security with no expectation of return. A fair system should encourage us to become a nation of savers and give us more control over our retirements. All Americans should have the ability to save during their working years so that they can live comfortably during retirement while preserving a leaner system for those who can’t afford to save for themselves. Currently, we are stuck paying into an outdated system that has not kept up with the times. Social Security is wearing bell bottoms while everyone else is in skinny jeans. It’s time for change. Patrice Lee is a senior fellow at the Independent Women’s Forum and is the director of outreach at Generation Opportunity, where she works to promote economic opportunity for millennials.